Convenient and powerful blend of micronutrients and multi-vitamins to take with your meals. Presenting the new version of VIVO, which features the newly added biotin from the B group of vitamins to further enhance the nutritional profile! VIVO contains a host of vitamins, minerals , carotenoids , digestive enzymes , prebiotics, and probiotics to support a healthy and active lifestyle . The scientific, “Smart Adapt” formula of VIVO is designed to meet the nutritional needs of athletes to help them maintain top mental and physical condition. 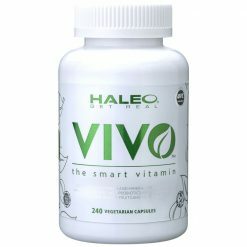 VIVO uses a precise blend of 20 types of vitamins and minerals, in accordance with Japan’s Dietary Reference Intakes. The SHIELD Antioxidant Blend has been thoroughly studied and includes the extracts and concentrates of 25 kinds of fruits and vegetables. SHIELD Antioxidant Blend supports the strength training programs of athletes by protecting the body from the harmful effects of stress. Fermented foods are rich in enzymes, prebiotics, and probiotics. These nutrients are essential for digestion and absorption, but are difficult to source from the diet since the foods are delicate and difficult to cook without degrading the nutrients. Clear Digestive Blend thus rounds out the excellent micronutrient profile of VIVO. The Smart Adapt Performance multi-vitamin and mineral blend supports peak performance by boosting mental energy and power . By turbo-charging the VIVO nutritional formula, it is a premium source of performance enhancement for athletes. 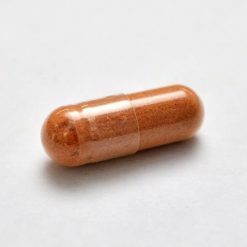 Take 4 capsules twice daily. We recommend that you take with your meals.